The Program and Services Steering Committee, which is overseeing the transformation of healthcare services in our community - including the construction of a new state-of-the-art hospital - has released a proposed plan for the future of local healthcare. 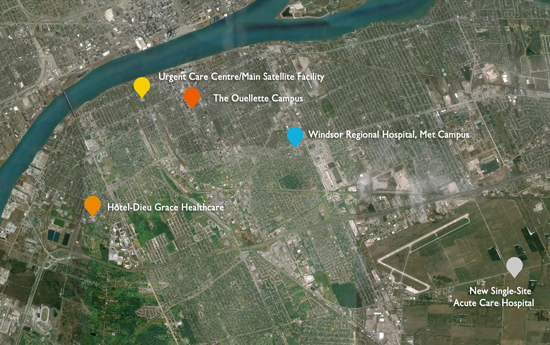 The Erie St. Clair LHIN will now work with the Ministry of Health and Long-Term Care to review and evaluate this plan. Ministry approval is required before proceeding with the plan. Please click on the links below for a detailed outline of the plan.